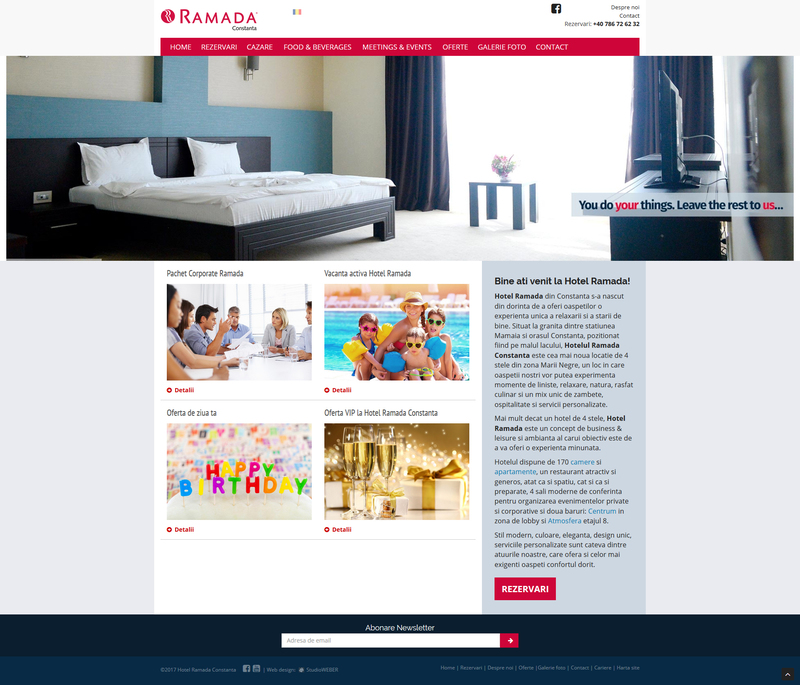 Web site creation of Ramada Hotel in Constanta, Romania. The site has an original layout which complies to Ramada Group corporate ID and design style. We have developed a custom made content management system for easy text and images updates. The CMS allows for direct search engine optimization for each page according to the desired keywords and an unlimited number of language versions. There is also an online booking system integrated, together with a newsletter module based on MailChimp system. The site is built using responsive technology – it adapts to the device it is accessed from: desktop, tablet or smartphone.